Johnny Depp - The Illustrated Biography is the story of one of Hollywood's biggest stars, whose extraordinary journey has taken him from schoolboy misfit and hedonistic rock-star to a compelling Oscar-nominated actor and devoted family man. Lavishly illustrated, the book is fully updated to include Johnny Depp's most recent film roles, as the demon barber of Fleet Street in Sweeney Todd, further outings as Captain Jack Sparrow in Pirates of the Caribbean, and as the Mad Hatter in Alice in Wonderland. As a child, Johnny was an outsider. Life at home was chaotic; his family moved twenty times by the time he was fifteen. He found expression through music, and by thirteen he was playing in bands at clubs. He had taken every kind of drug there was by the age of fourteen, and had brushes with the law. As an adult he turned to acting, but continued to live by his own rules, confounding and delighting critics and fans alike with his choice of roles. His future off screen is more uncertain than ever following the break-up of his long-term relationship with Vanessa Paradis and the endless rumors of new girlfriends and flings. 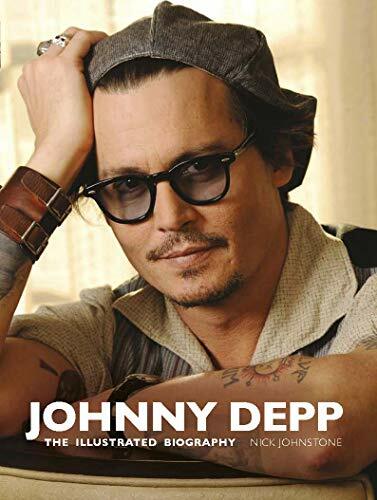 This paperback edition includes an up to date look at the triumphs and successes of Johnny Depp, as well as his upbringing and private life. Nick Johnstone Music and film journalist Nick Johnstone is a regular contributor to one of the UK's leading film and music monthlies, Uncut magazine, and also to national newspapers the Observer, the Guardian and the Daily Telegraph. He is the author of six other books, including biographies of Sean Penn, Patti Smith and Radiohead, and has written a novel. He lives in London.